So Robert emailed me from his work email. 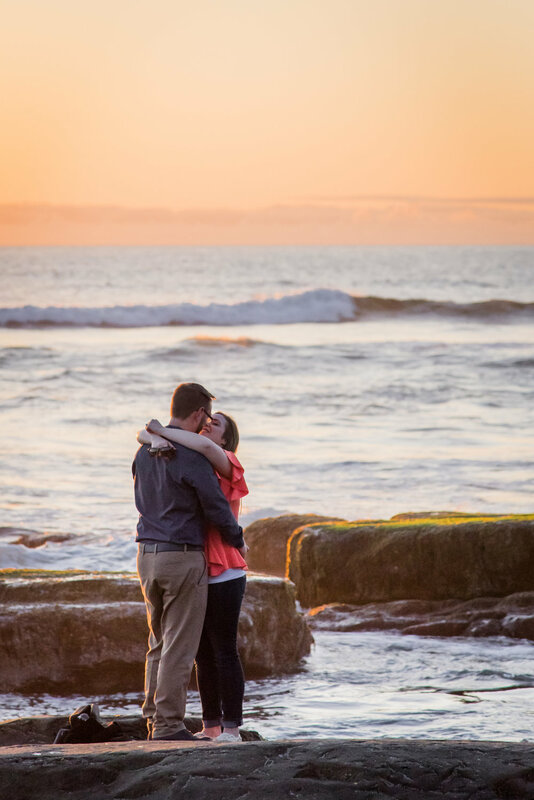 He said he’s renting a home for the weekend on the Coast and wants to propose to his girlfriend of many years. He told her he wanted to get a selfie out front of the rental (see below!) with his brand new drone. 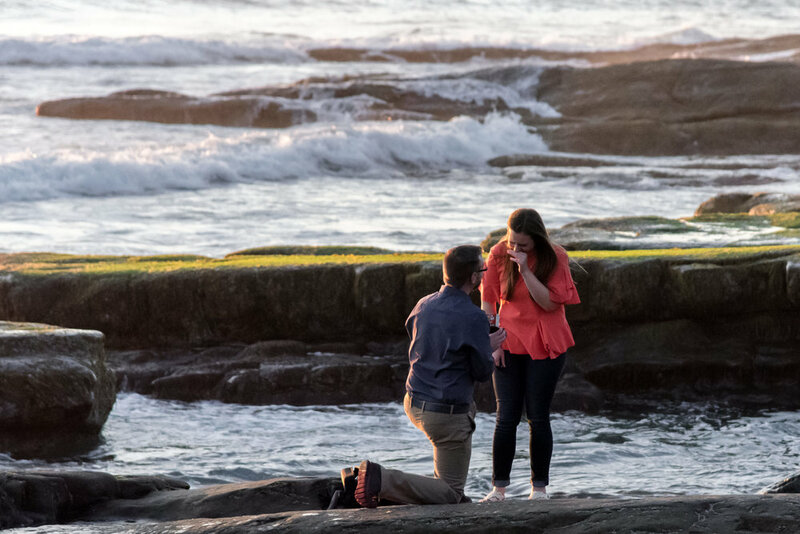 I stood back on the rocks as if I was photographing the sunset, which happens ALL over here on the coast, so its no big deal for me not to be really “hiding” while the surprise proposals go down. Anyways, as he was putting the drone away, kneeling down, he pulled out the ring box and asked Jamie to be his wife for life. 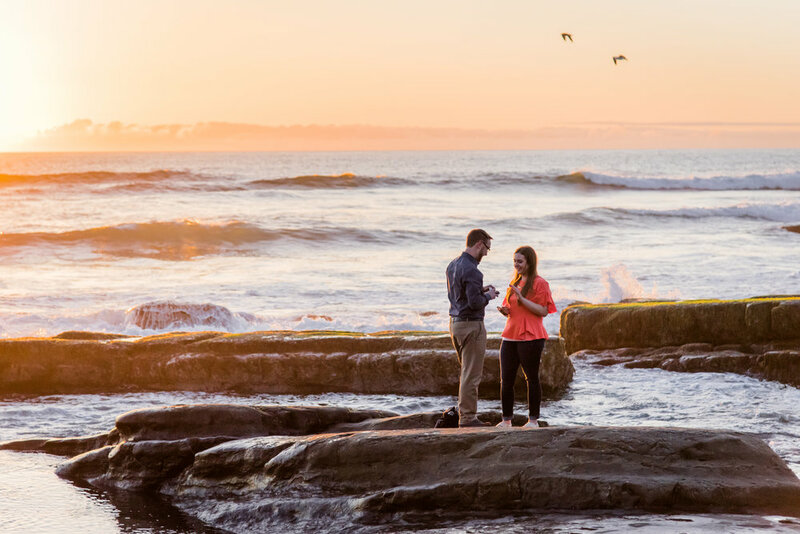 :) Whales were spouting right behind them, the sun was a beautiful rose gold, and she said YES!! !